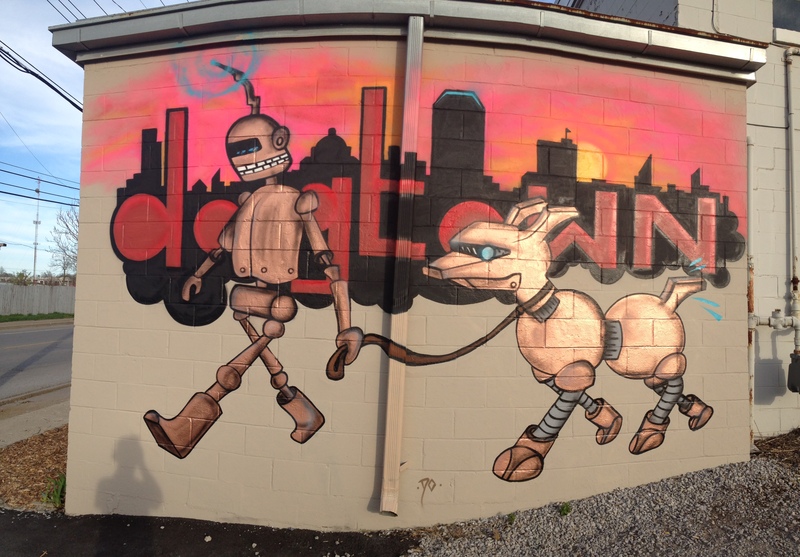 Danny’s new Custom Mural for Dogtown Daycare & Boarding, Lexington, KY! 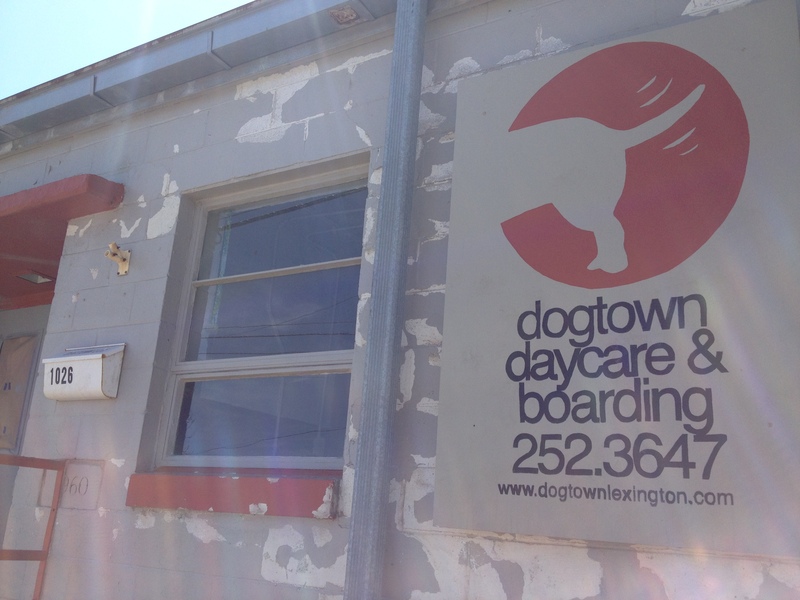 Dogtown Daycare owner Tiffany Morrow has commissioned a brand new exterior mural from Journeyman Artist Danny Diamond. 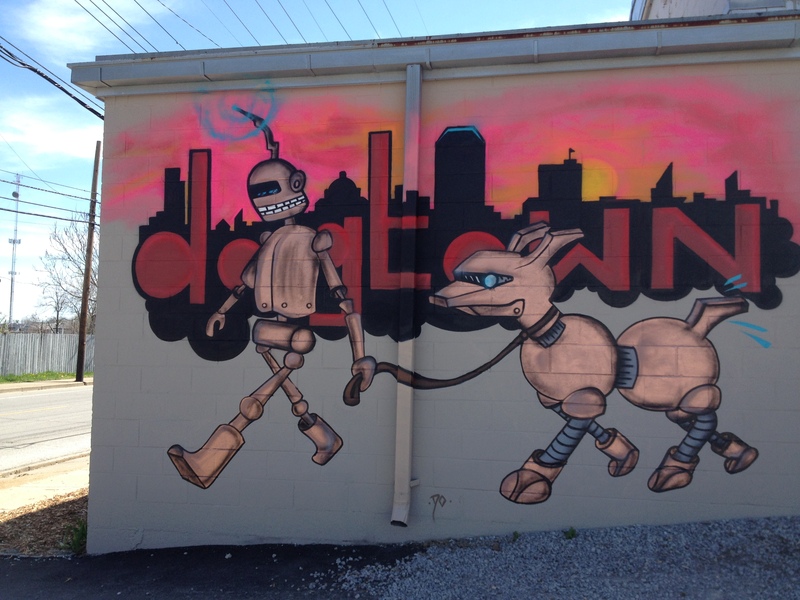 The artwork depicts a futuristic motif of her customers as copper-chromed androids delivering their pups to Dogtown. Lexington’s silhouetted skyline and a warm pink and orange Kentucky sunset make up the background which is highlighted by Downtown Lexington’s landmark skyscraper “Big Blue”. This entry was posted on May 3, 2015 by dannydiamond117. 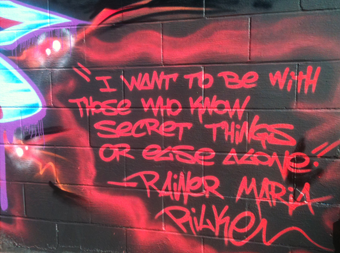 It was filed under Uncategorized and was tagged with androids, art, artist, cityscape, copperchrome, dannydiamond, dogs, dogtown, dogtowndaycare, kentucky, lexington, mural, muralart, robots, skribblefish, spraypaint, streetart, sunset.